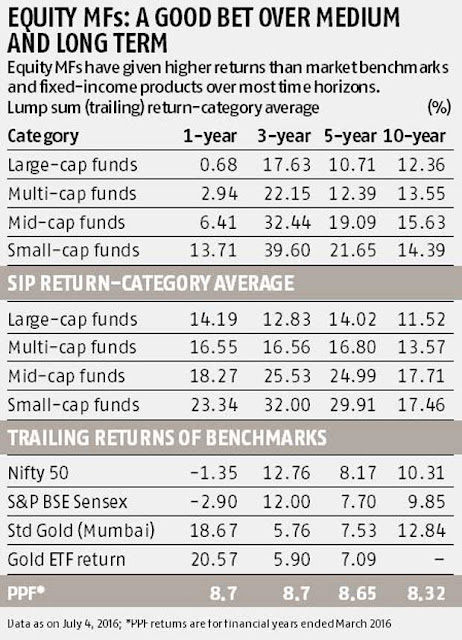 More than 10-year horizon is that trailing returns of large-cap mutual funds (12.36%) were better than that of broad market benchmarks such as the NIFTY / the SENSEX. 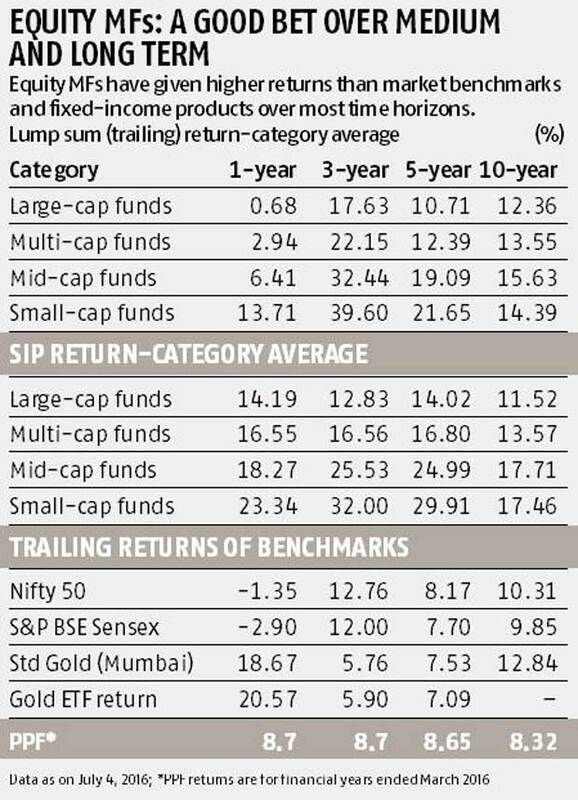 Returns for gold (standard gold Mumbai) were slightly higher (12.84%) than the average for the large-cap category. Public Provident Fund (PPF) returns have been lower at 8.32% compound annually over the past decade.